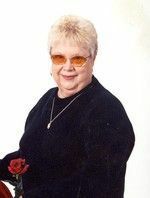 Betty J. Jones, 77 years of age of Greenfield, Indiana passed away Wednesday, December 23, 2009 at Hancock Regional Hospital in Greenfield, Indiana. We are so sorry for you loss. Betty is a wonderful lady and will be missed by many, until we meet again. death but we love you very much. Hope you are doing okay Harold. I am so sorry to hear about your mom. I know how very hard it is to lose a parent. And, how very sad to lose her just before Christmas. My thoughts and prayers are with you and your family. Please take care. I am know the pain you are experiencing with the loss of your mother and you and your family are in my prayers. I would have liked to be there for the funeral, unfortunately, we chose this week to install new equipment at work and I need to be here as well. especially hard during the holidays.